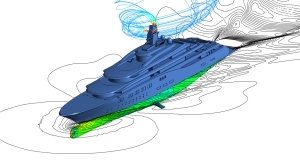 In recent years numerical methods have evolved into powerful tools for flow simulation and also enable the simulation of the whole spectrum of shipbuilding applications. 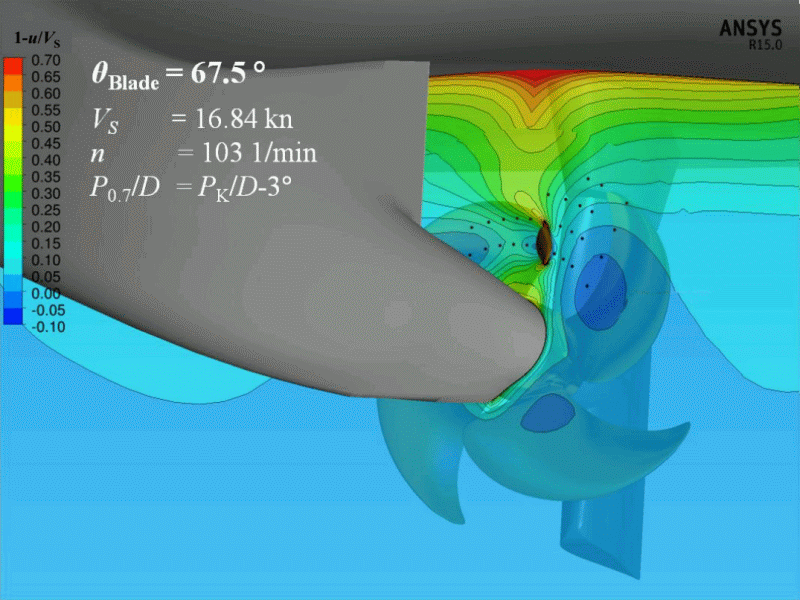 Applications range from the simulation of ships at sea to cavitation to multiphase flows. By continuously validating the simulations with the SVA’s own measured results, high accuracy and quality of simulation results is achieved. 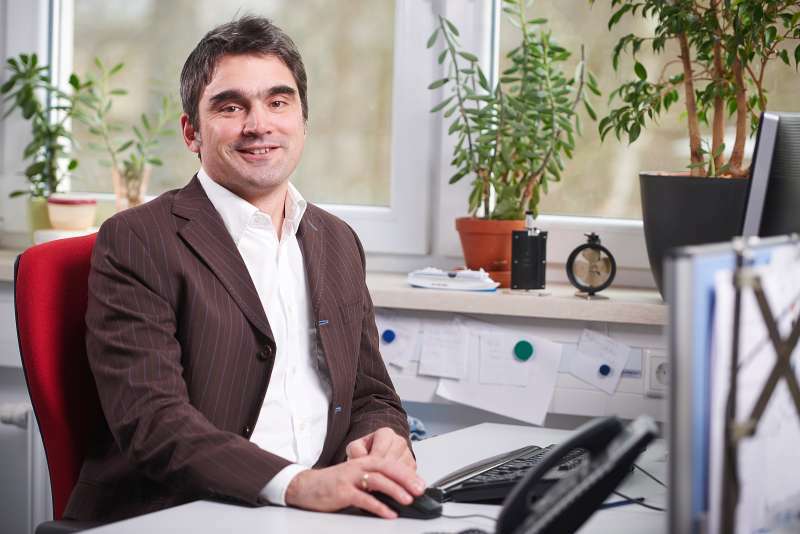 The strengths of the numerical methods lay, in particular, in the field of shape optimisation and product development. In this way, clients can be offered an optimal combination of experimental and numerical investigations. CFD simulation of a zig-zag manoeuvre. 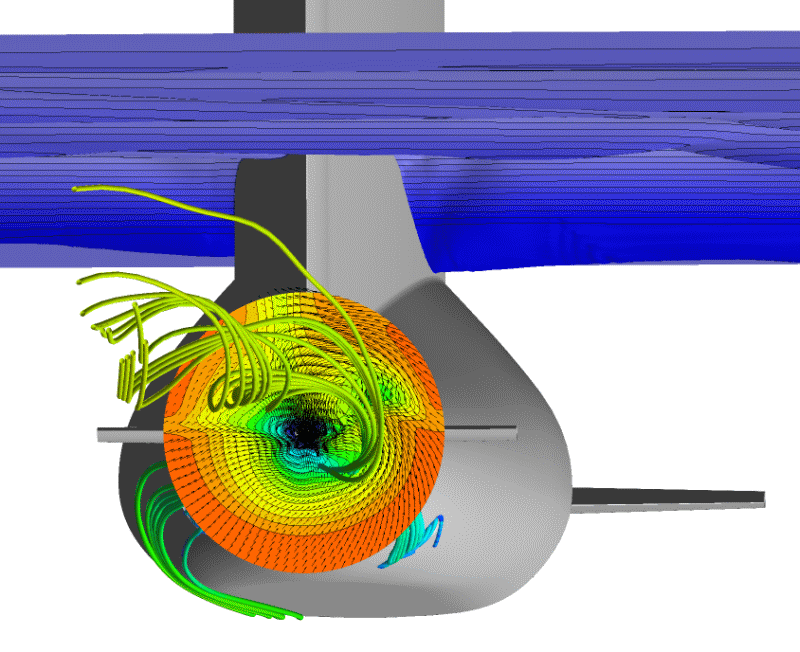 CFD simulation of rudder flow with unsteady hub vortex. 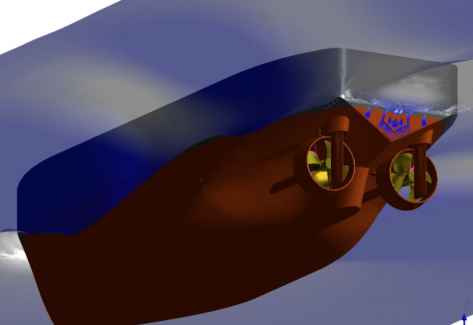 CFD simulation roll angle determination of a pilot boat in regular beam sea. SWATH ship in oblique regular seaway from ahead. 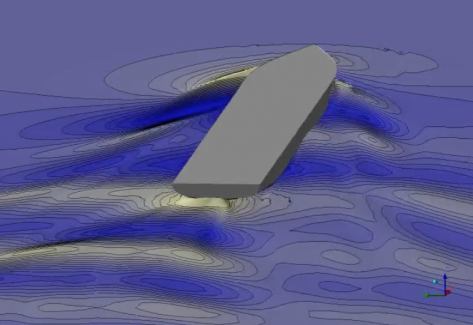 CFD simulation of a tug boat with rotating propeller and free surface. 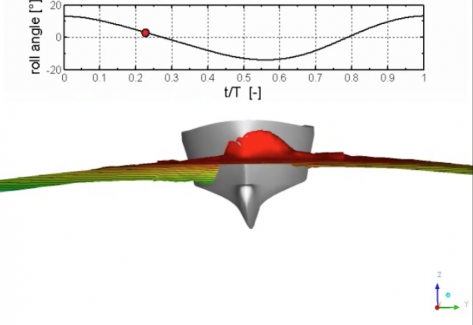 Transient turbulent wake flow of a ship. 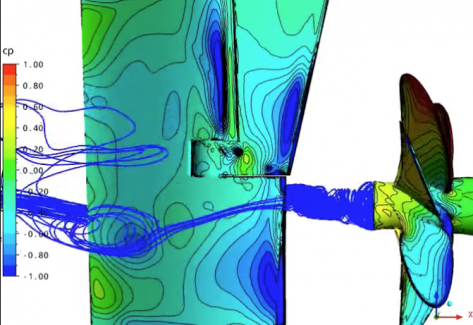 CFD simulation with a hybrid RANS-LES approach. If you feel that there seems to be no ready answer to your special requirement, please contact us directly. We will find a solution for (almost) any problem! 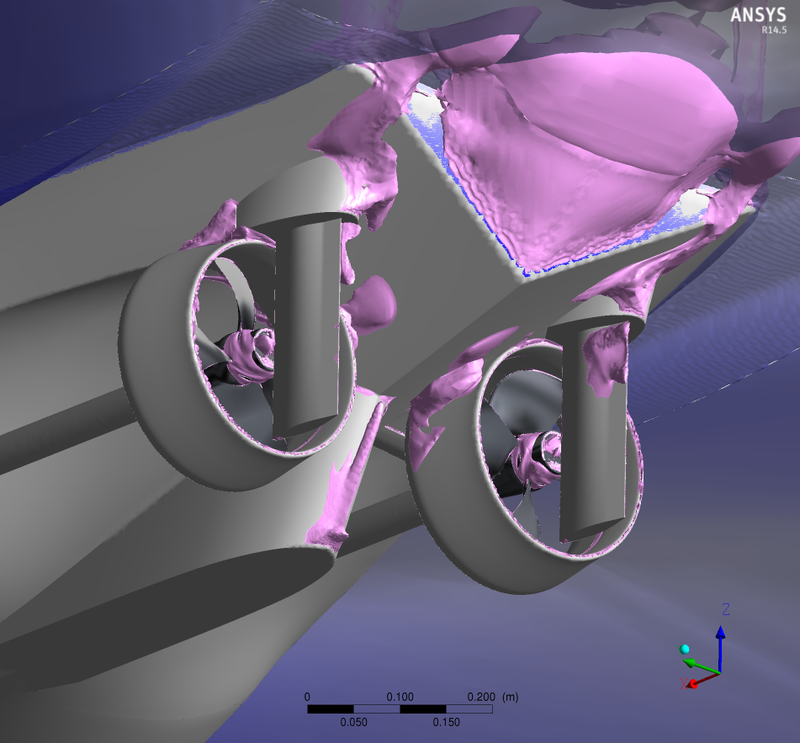 CFD simulation of a twin-screw vessel. 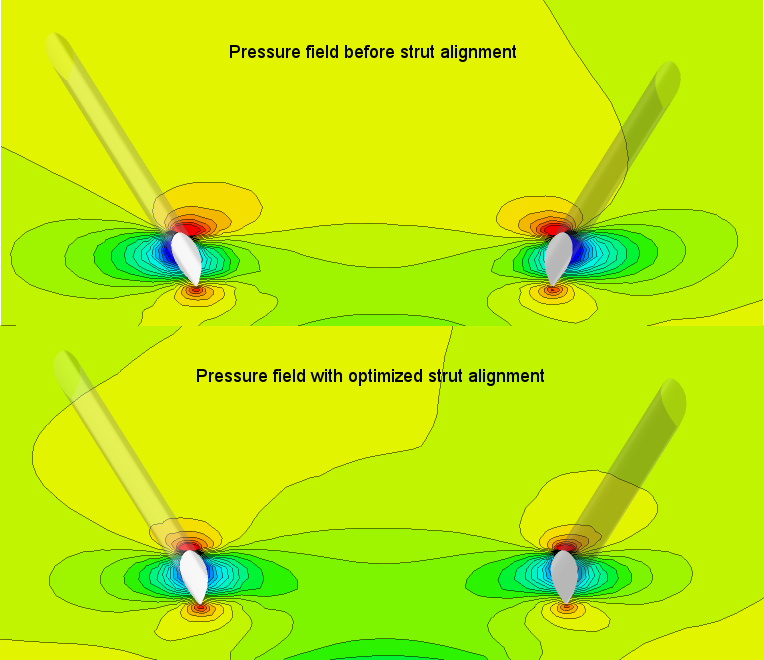 CFD simulation of the pressure distribution around the V-struts of a twin-screw vessel; initial and optimized struts alignment. 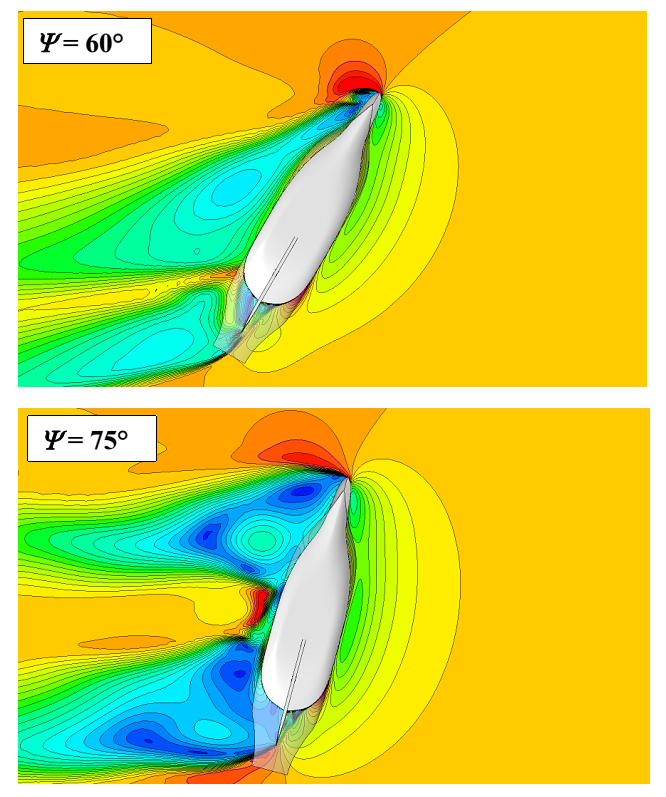 CFD simulation of a fast boat in regular head sea. 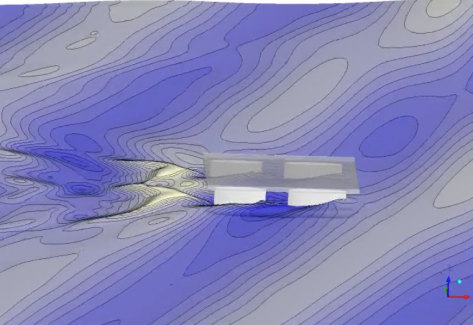 CFD simulation of flow separation zones at aft ship of a tug boat. CFD simulation of a ship in oblique flow. 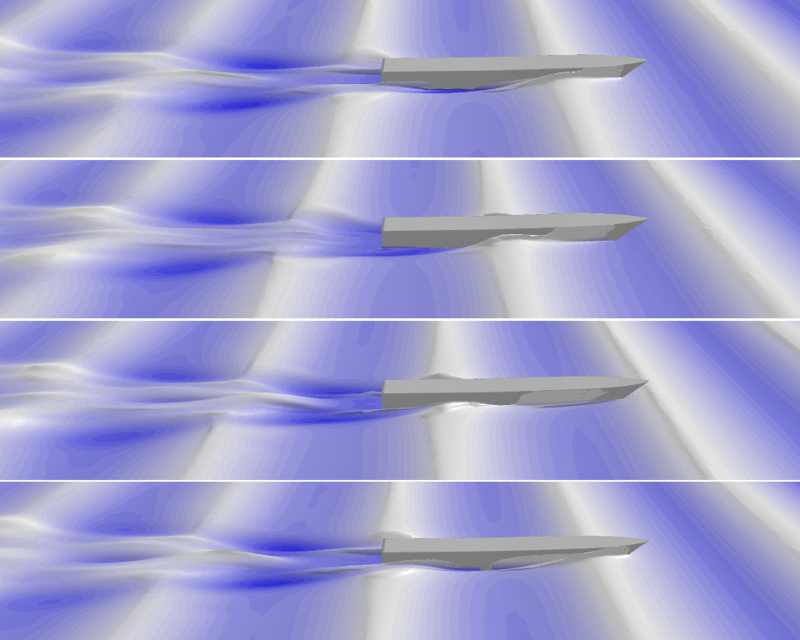 CFD simulation of the wave pattern of a ship running at various Froude numbers. 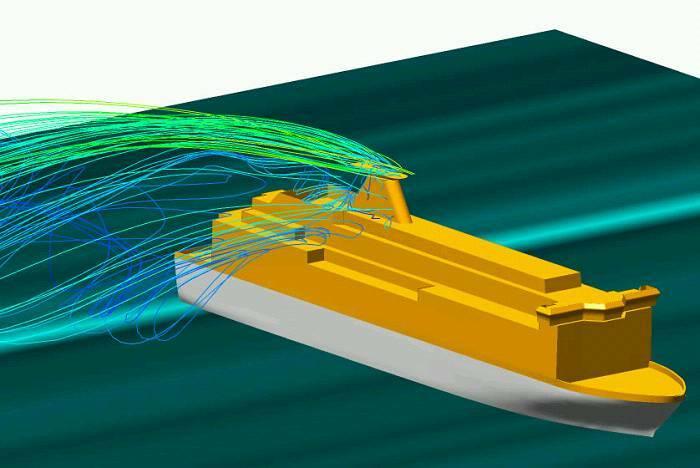 Wake flow and streamlines at portside hull of a SWATH ship. 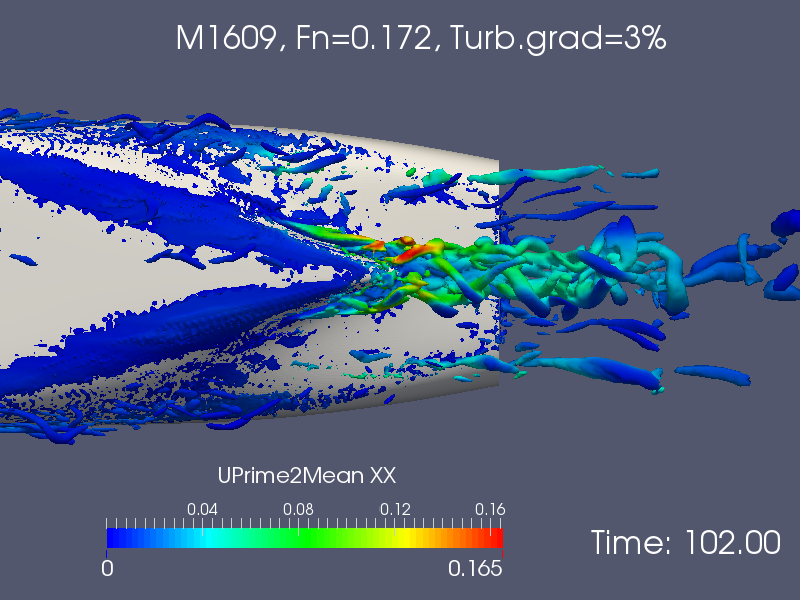 CFD simulation for the determination of the wake number and the wake homogeneity. 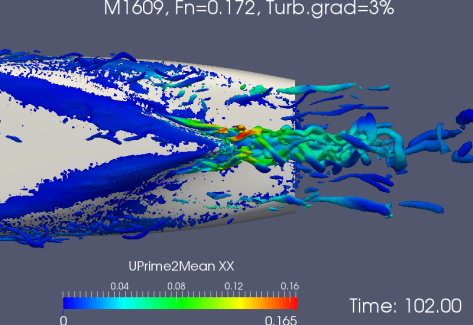 Aerodynamics simulation of a passenger ferry.